"Il Nonno" features accommodations for eight owners/guests in four staterooms, plus crew quarters. Bow Thruster and twin 21.5kW Generators. Desirable split bow bunk layout. No options have been left out! 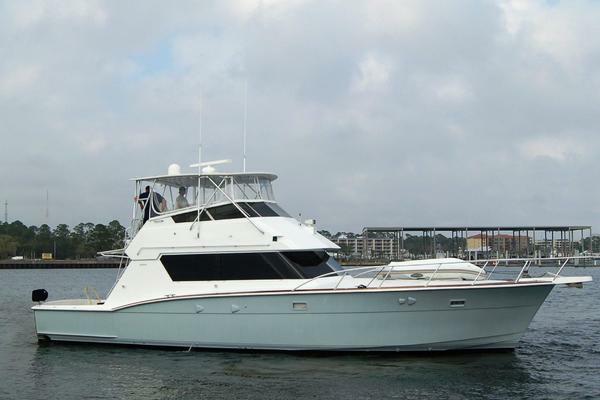 United Yacht Sales New Jersey would love to guide you through a personal showing of this 60' Hatteras 60 Gt 2011. This yacht for sale is located in Aventura, Florida and priced at $2,149,000. For a showing please contact us by filling out the form on this page and we will get back to you shortly! "Il No No" features accommodations for eight owners/guests in four staterooms, plus crew quarters. Bow Thruster and twin 21.5kW Generators. Desirable split bow bunk layout. No options have been left out! Over under berths with storage under lower berth. 2 21.5kW freshwater-cooled Electronic Quiet Diesel Onan generator(D) with shock mounts, seawater strainer, separator, hour meter, exhaust water separator and sound enclosure.